Founded in 1996 by Rev. Jacques and Rev. Monika Thomet, Life Force Academy has grown to be recognized as a respected source of transformation and healing across the southeast U.S. 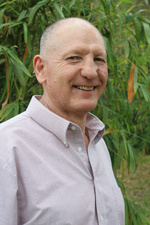 In addition to offering acupuncture, massage and martial arts, Life Force is known for its founder's unique gift known as Channeled Accelerated Regression Healing. Jacques Thomas is a unique gifted healer. Born in Switzerland, the young Jacques first displayed his gift of clairvoyance at age 8. What followed was a lifetime quest to explore and understand his unique abilities. He traveled the world learning first Japanese martial arts, then Raja Yoga technique, Qigong healing and a degree in Shiatsu and related techniques. For 45 years,he has sought to master the art of physical and spiritual healing. Today, Rev. Thomet practices channeled accelerated regression healing. It is with this very unique gift as a "conscious" channeler-healer that he has helped relieve people of their physical and emotional suffering. It is what makes Life Force Academy so different and special. 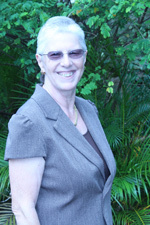 Partner in Life Force Academy, ordained minister and Jacques' wife, Monika is a metaphysical practitioner and physical therapist. She has traveled the world living in ashrams and other spiritual communities. She has written a thesis on Jacques' gift. Monika facilitates the procedure and helps with healing of past, present and future life traumas. She also offers pastoral/spiritual coaching sessions. 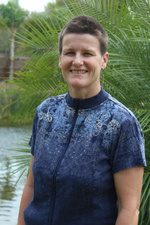 Fiorenza is trained in Acupuncture, Chinese Herbology & Massage Therapy. She brings healing to the comfort of your own home or office, working in combination with Spiritual Healing, or as a Board Certified Acupuncture Physician. Fiorenza is also a Board Certified Massage Therapist (MA68450).